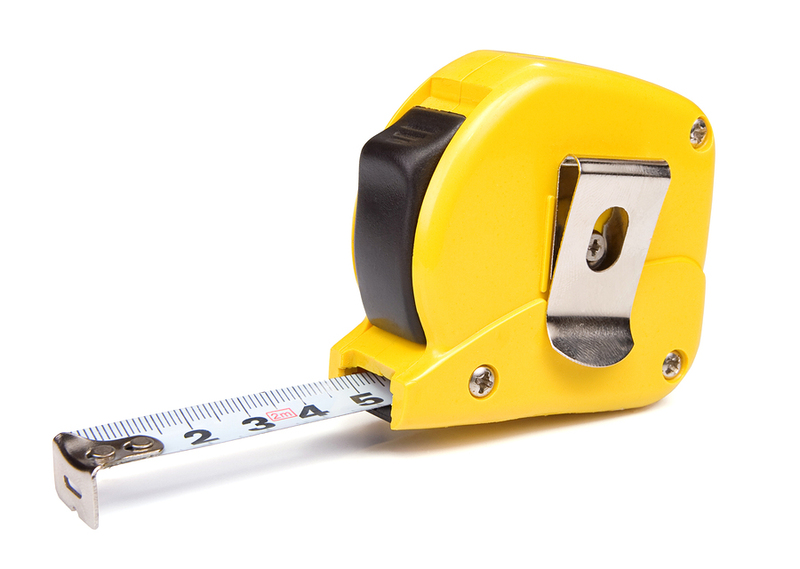 Although measuring a kitchen is crucial to a successful design, many of us have developed a fear of the tape measure. The basic idea in measuring kitchens is to indicate every place where the walls are interrupted by a permanent object, like a window, door, pipes, or other obstacle. Measure the total distance of all walls (usually four) from corner to corner. Measure the width of each window and door in that wall area, from trim to trim (casing), even if no cabinetry is planned in that area. Indicate the distance from each obstacle, or window or door outside trim, to the nearest corner of the room. Include any plumbing, electrical, and heating item’s location to the nearest corner. Indicate the ceiling height, or soffit height, by writing down the smallest number of several measurements taken around the room. Measure from the finished floor. Be sure to also measure all appliances to be used in your kitchen, including the width, depth and height in most cases. For those that are of a “built-in” style, such as double ovens, please indicate the “cut-out” dimensions of each. Following these steps will make your kitchen experience much more productive, and fun! If you have any questions on measuring your kitchen, please see our Measuring Guide (PDF) or contact one of our professional kitchen designers at Kitchen Views.